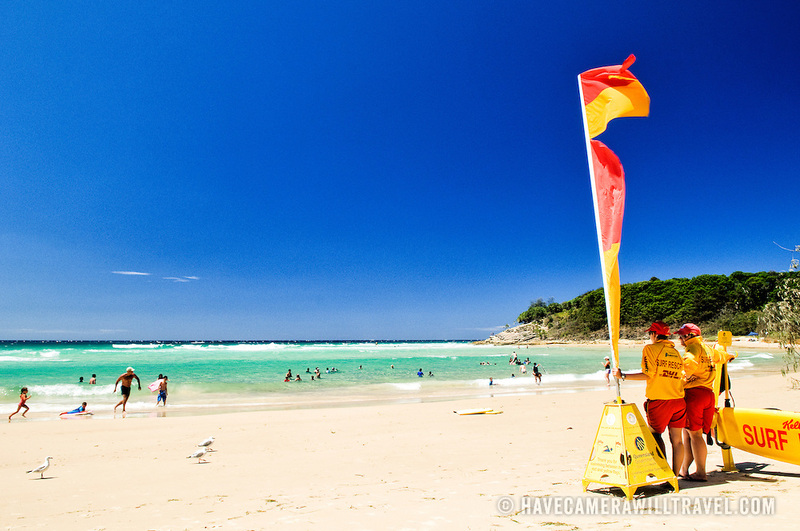 Lifesavers on duty at Cylinder Beach on Stradbroke Island, Queensland. The beach was named such because it used to be the landing point for offloading the gas cylinders for the nearby lighthouse on Point Lookout. North Stradbroke Island, just off Queensland's capital city of Brisbane, is the world's second largest sand island and, with its miles of sandy beaches, a popular summer holiday destination.